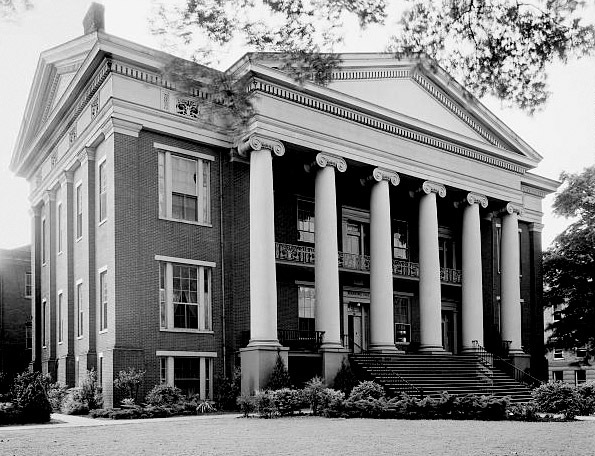 Manning Hall, on the Talladega campus of AIDB, is one of the school's original buildings, constructed in the mid-1850s. The building is shown here in a 1939 photo by Frances Benjamin Johnson for the Carnegie Survey of the Architecture of the American South. The building currently houses the president's office and other administrative departments as well as an exhibit section called "Sight and Sound" with displays on history and technology relating to vision and hearing impairments and education.